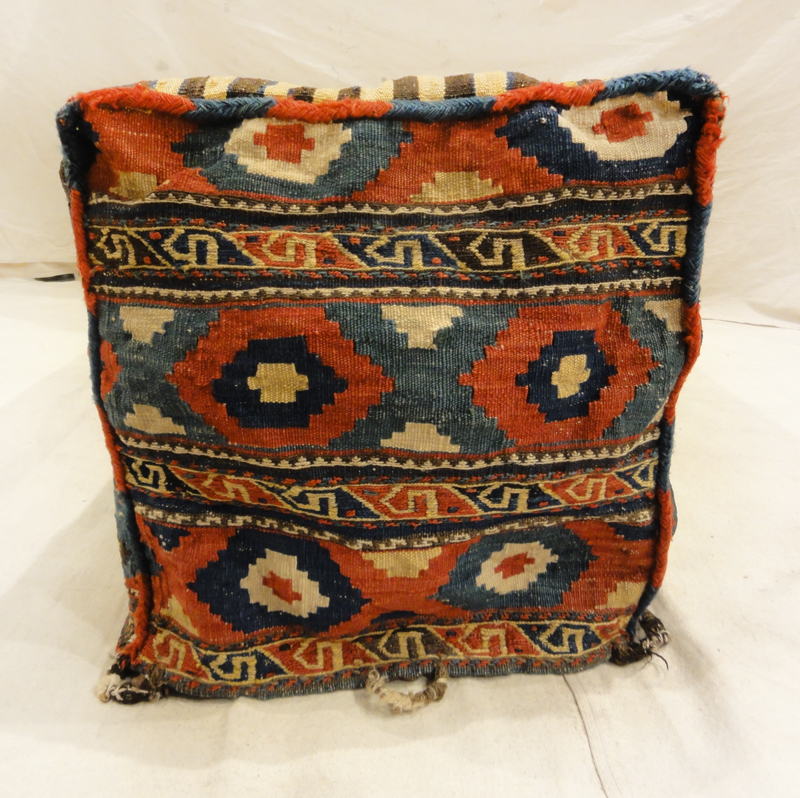 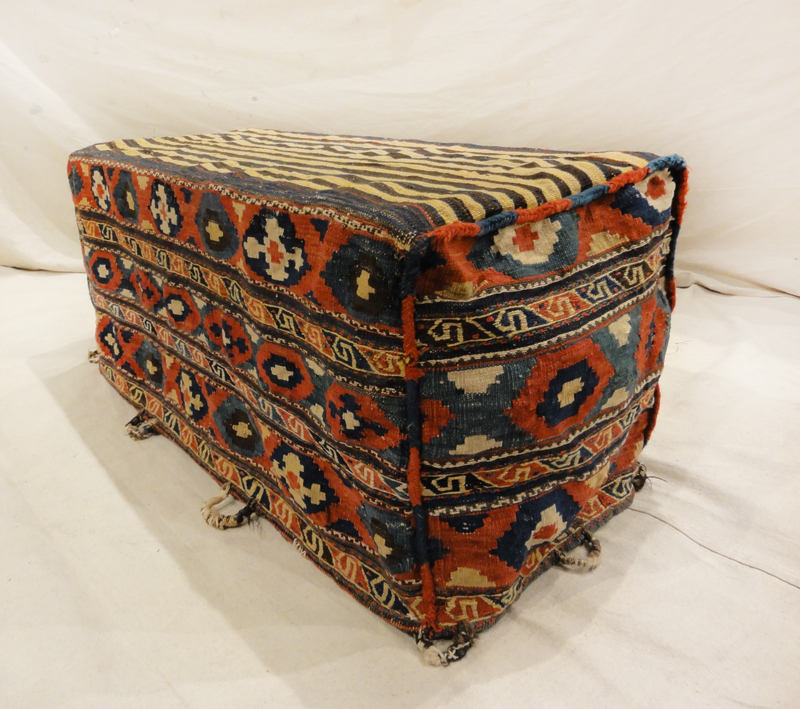 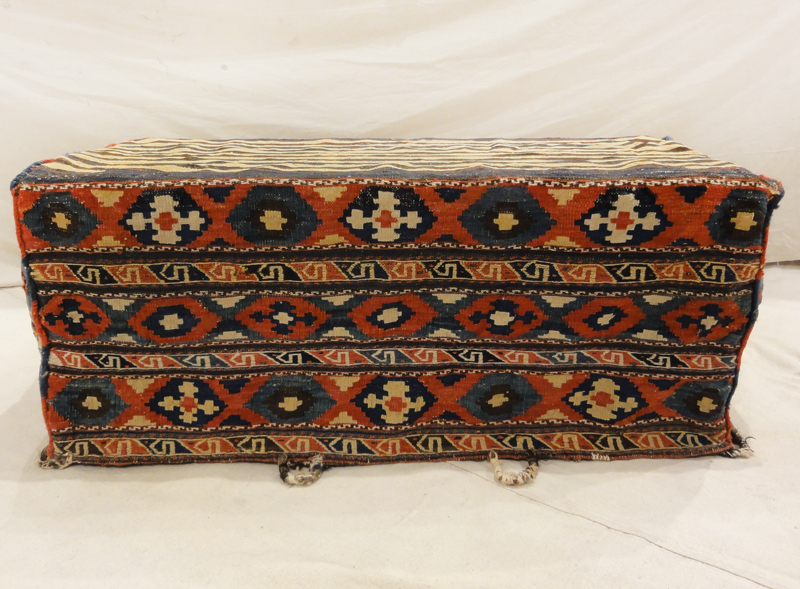 Mafrash Tribal Design have been made by nomands In eastern Turkey, northwestern Persia and the Caucasus, three-dimensional rectangular “boxy” bags. 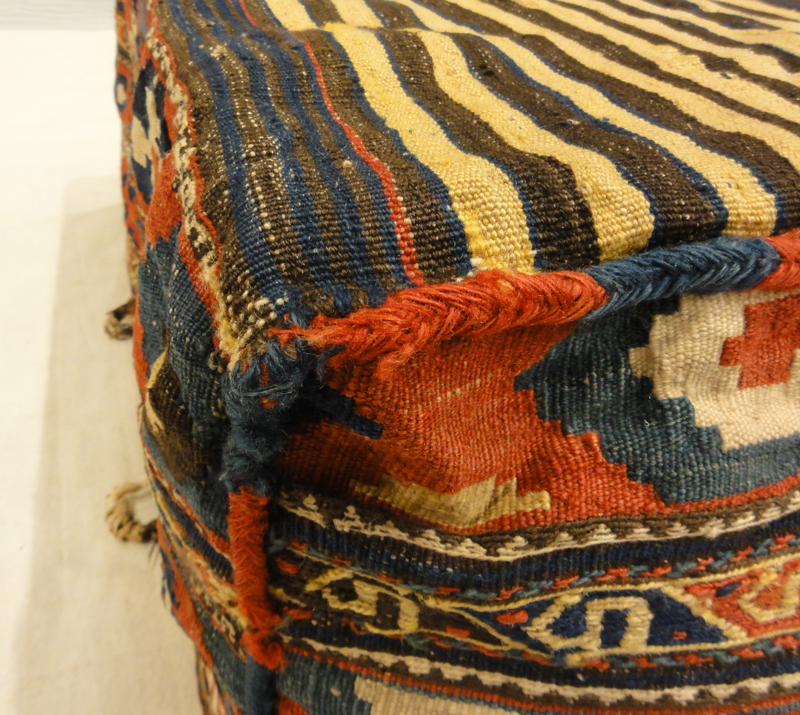 Used for storage of bedding in their tents, and for use as cargo bags. 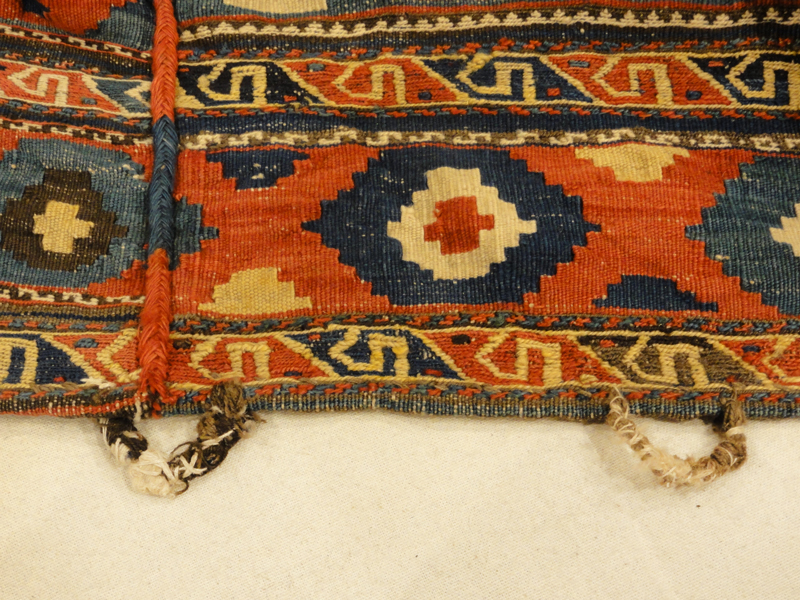 They were normally made in pairs which could be balanced over the backs of camels on migration. 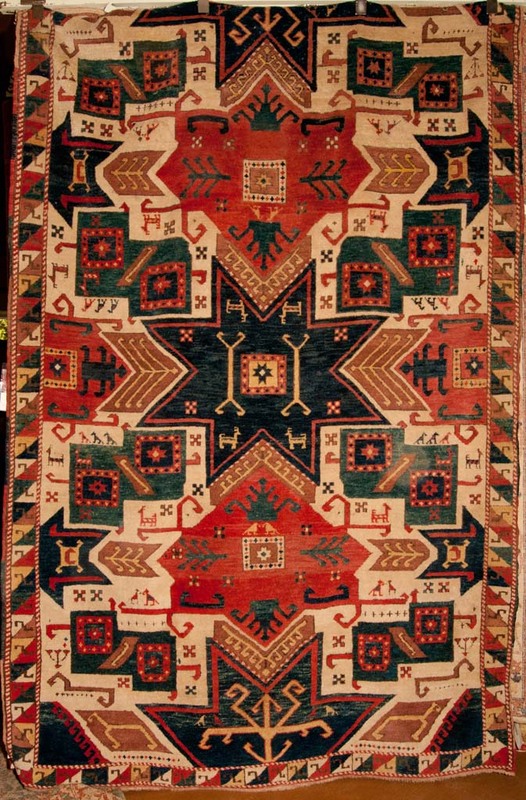 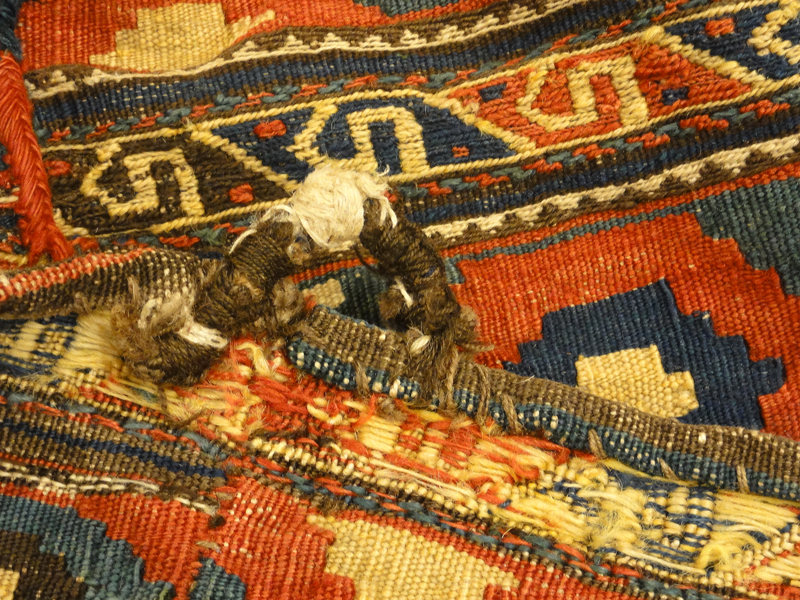 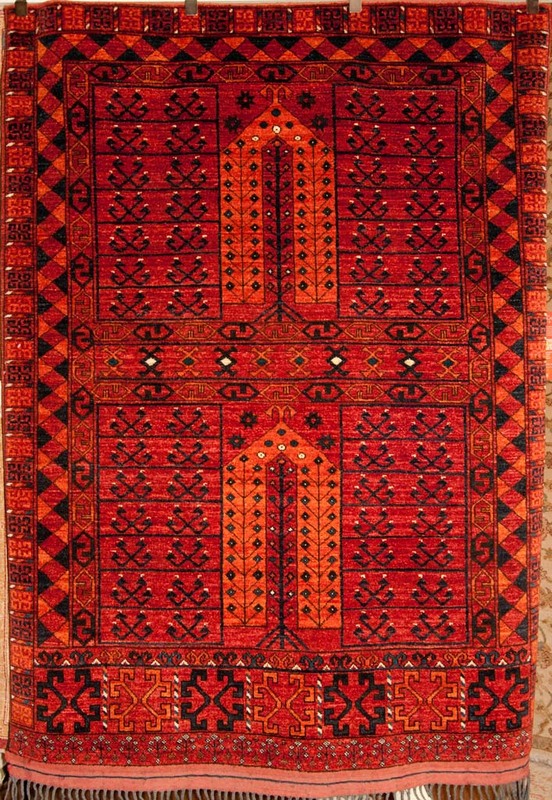 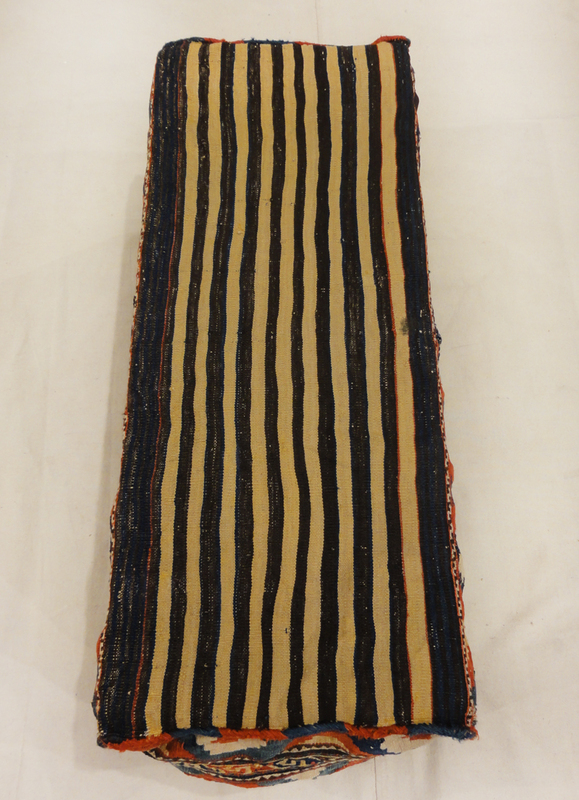 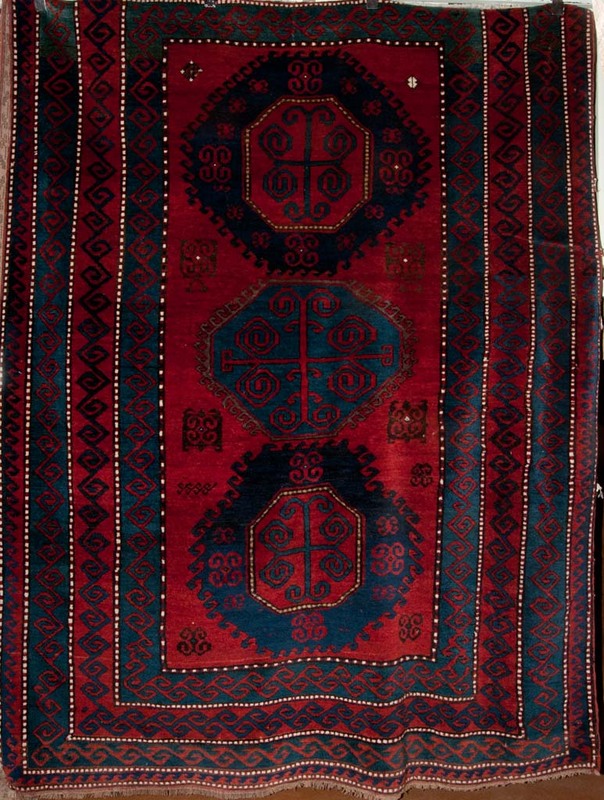 Tent Hanger, woven by tribal Turkomans of Afghanistan.